Under GDPR, the requirements of accountability and transparency have been elevated in significance from implied to explicit. 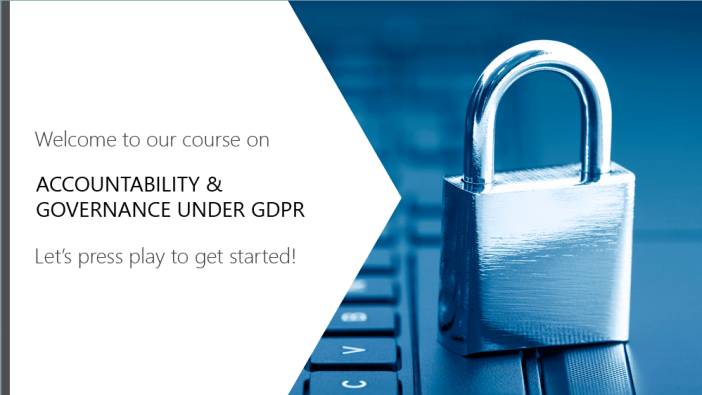 This module explores the requirements under the regulations and what organisations must do to both put in place and demonstrate comprehensive governance measures to minimise the risk of breaches and protect personal data. Explore the requirements of accountability and transparency. Put in place and demonstrate comprehensive governance measures to minimise the risk of breaches and protect personal data.